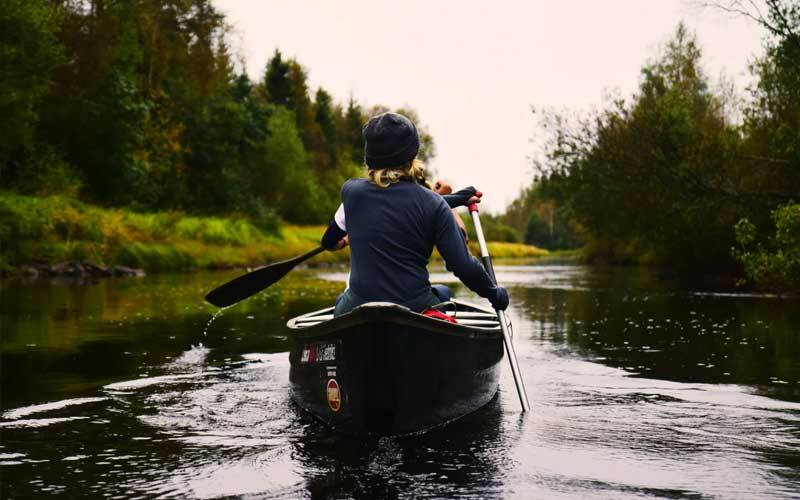 Iron River is a sportsman’s paradise and offers nearly endless recreational opportunities all year round. From casual waling trails to remote snowmobile routes, this area has what you are looking for. Find summaries of our top attractions below and enjoy your adventure. Bachman park is the first choice when kids just want to be kids and enjoy the day. With its two slide play fort and other maintained slides, two tennis courts, two basketball courts, and softball field complete with dugouts, Bachman Park kids will enjoy themselves for hours. It also has an ice rink available during the winter months for those who would like to ice skate.Bachman park is located on 4th street in Iron River, right next to the Rodeo Grandstands and the Iron County Fairgrounds. Restrooms and drinking fountains are available during the warmer months. Kids can also come and skateboard at the skatepark located right across the street from Bachman Park. There are five blue ribbon trout streams in our area including Iron River which runs through the city. Fishing is one of the top family fun activities in Iron River, and its lakes and streams provide excellent sport fishing. 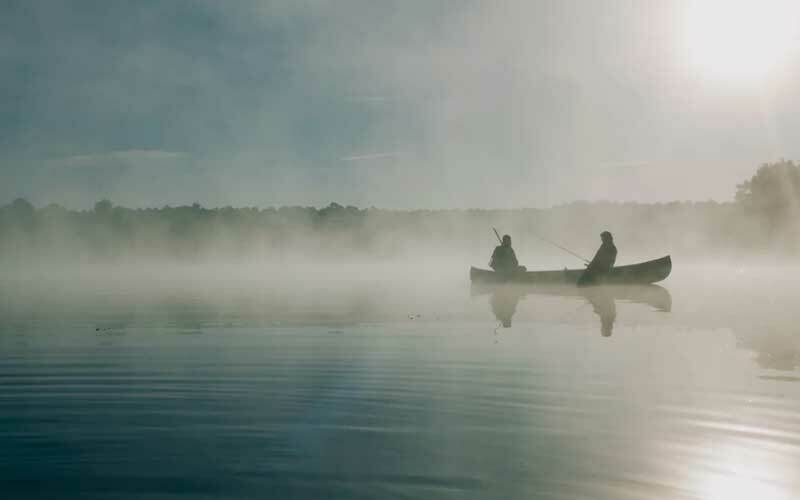 Whether you prefer fishing from shore, in a boat on a lake, or donning hip-boots or waders for stream-fishing, Iron River’s got a place for you. A fishing license is required for all persons who have reached their 17th birthday. Licenses are valid from March 1 of one year to March 31 of the following year. Michigan also offers a 24-hour license good for all species to residents and non-residents alike. Fish For Free During Michigan’s Free Fishing Weekend in June and February! It’s a great opportunity for families to enjoy one of Michigan’s most popular activities. 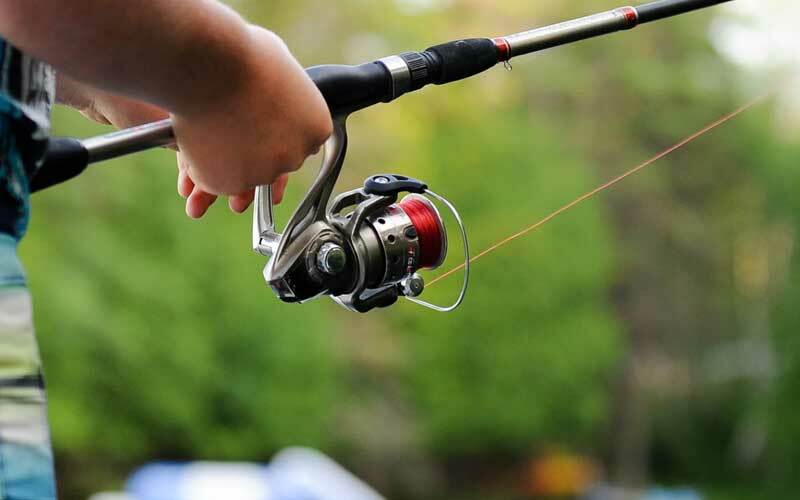 All fishing license fees will be waived these two days for residents and non-residents. All fishing regulations still apply. Golfing in Iron River is first class with its two elegant golf courses. A person could golf for days, enjoying the beautiful terrain the courses are located on. 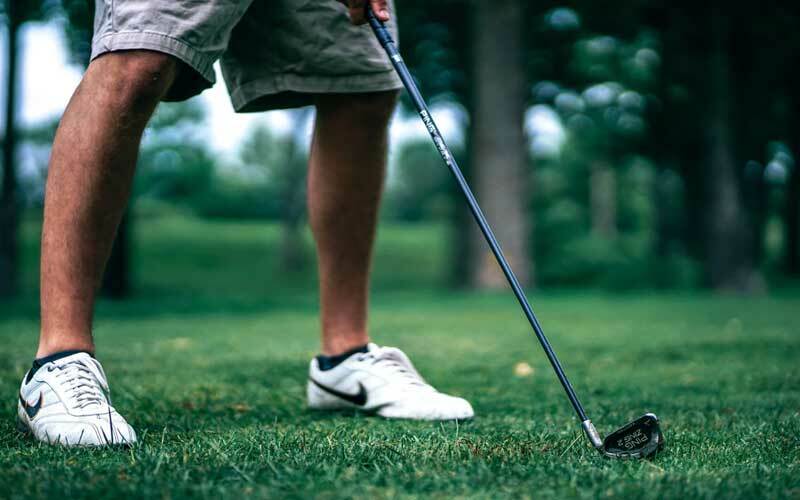 With George Young’s Championship 18-hole Golf Course and the Iron River Country Club, you’ll be golfing all day. Visit the George Young Recreational Complex at www.georgeyoung.com. Learn more about the the Iron River Country Club at their facebook page. Bewabic State Park has a trail that starts in the campground and ends in the day-use area of the park. It’s an easy trail to hike and only takes around an hour. Glidden Lake Foot Paths offers 3 loops that start in the parking area.Loop 1 – 3.4 mi. – 5.5 km.Loop 2 – 4.5 mi. – 7.2 km. Loop 3 – 3.9 mi. – 6.2 km.There are signs every 1/2 mile to follow. The Ge-Che Trail begins at the Lake Ottawa Recreation Area boat landing. There are nine miles of hiking trail between Lake Ottawa and Hagerman Lake. The Bennan Lake loop (2 miles) and the Ge-Che loop (2.5 miles) are the most popular summer loops. Brule Lake has a Stateline Historic Site, a one-half mile recreation trail to historical Treaty Tree and the Wisconsin/Michigan overland border. There is parking at the Brule Lake picnic grounds. The Brule River Trail starts at the registration booth, crosses Co Road 424 and continues to the Brule River. It’s a five mile long pathway.The Indian Ceremonial Bowl Trail is a short walking trail one mile long. Hunting and fishing are a big part of life in Iron County. White tail deer, ruffed grouse, and bear are three of the most popular seasons which make up the area’s great trophy hunting. No other game animal has captured the hunter’s heart like the white tail deer. About 1.2 million licenses are sold annually to over 800,000 deer hunters during the archery, firearm, and muzzle loading season. Today Michigan’s deer herd is one of the largest in the United States, exceeding 1.6 million deer compared to 1/2 million in 1972. Hunters in Michigan harvest more than 300,000 deer annually, which in turn is 18 million pounds of meat. Iron County is one of the U.P.’s most popular hot spots for white tail deer hunting. An archery deer hunting license entitles those 12 years of age and older to take one antlered or antlerless deer during the October 1 – November 14 or December 1 – January 3 open bow and arrow season in Iron County. A firearm license entitles those 14 years of age and older to take a deer with at least one antler three inches or longer during the November 15 – 30 firearm season or during the muzzle loading season. Resident seniors may purchase a license at a reduced rate.All deer hunters must wear hunter orange November 15 – 30! Good woodcock and ruffed grouse (or “partridge”) hunting can be found throughout many areas of Iron County. Look in aspen stands along stream sides, lowland areas and upland edges.A small game hunting license is required to hunt birds in Michigan; it also entitles you to hunt rabbit, hare, squirrel, pheasant, woodchuck, crow, skunk, coyote, and waterfowl (with a federal waterfowl stamp and a Michigan waterfowl hunting license). Of the three bear species in North America, only the American black bear is found in Michigan. Once it roamed the entire state, but with the encroachment of humans into the black bear habitat, their range today is limited to northern Michigan and the Upper Peninsula. There are an estimated 8,000 to 10,000 black bear living in the forested areas of the state. Most of the bear are found throughout the Upper Peninsula. Bear hunting in Iron County is best in the Amasa area.To obtain a bear license, you must apply before the June 15 deadline. A bear hunting license entitles you to hunt bear during the established bear season which generally has begun by the second week in September and expires in the fourth week of October; this period is divided into three separate time blocks. The Ice Lake Park is a fun place to take the family swimming, have a picnic, or play on the playground equipment. There are two changing houses, restrooms, and a picnic area. Nanaimo Park is the alternate choice to Bachman park. With its small slide and swing set, climbing bars, and merry-go-round, kids will have fun playing here. Parents can relax in the shade of the rotunda located next to the playground. Nanaimo park is located less than a block from Backman park, on 4th street. Restrooms and drinking fountains are available during the summer months. Nelson Field contains a variety of activities for all ages. For the younger kids the park has slides, swings, teeter totters and tires to climb. Older kids and students will enjoy the four tennis courts, large basketball court, high school regulation size football field, track field, and baseball field. In the winter, Nelson field transforms to the biggest play area around. Kids of all ages grab their toboggans, sleds, and tubes, and play for hours on the hill next to the bleachers, which is the best spot to slide. During the school year, Nelson Field becomes filled with activity as the West Iron County Wykons play their home football games here. The Wykons also use Nelson Field for their graduation ceremony in May. During football season, concessions are sold by the Tri-City Fire Department. Iron River’s ski season is one of the finest anywhere. Whatever your fancy, be it alpine skiing, nordic skiing, or snowboarding, Iron River offers miles of snowy terrain just outside the city limits. Become a part of the Iron River winter and enjoy some of the best skiing in the midwest.Two beautiful locations are in the Iron River area, the Spring Valley Ski Hill, with its gentle slopes, and Ski Brule, rated the #1 family resort in the Midwest, presents quality downhill and cross country skiing, among other fun family activities. Wide open trails and groomed scenic journeys through the woods are Iron County’s trademark. When planning a trip to Iron County to snowmobile, be sure to pack warm clothes as the temperature can drop below zero for several days. For the adventurous traveler, a forest map and compass will take you to deep powder, but bring a tow rope – you just might need it. If eating on the trail is your idea of fun, bring saddlebags to carry food and beverages. The ground scenery, with wide open expanses, lakes to play on (at your own risk), check with other riders for ice conditions, slush, beaver dams, ice fishing holes, and inlet waterways before snowmobiling on area waters. Venturing on to lakes carries an “at your own risk” policy and help is often a long distance away. Carrying a survival kit including a tow rope, extra clothing, matches, a flashlight, a map and compass, and first-aid equipment is highly recommended.Over 200 miles of well-marked and groomed snowmobile trails make the U.P.’s Iron County a snowmobiler’s paradise. The Iron Range Trails cover Amasa, Crystal Falls, Iron River, and Sidnaw, providing well over 200 miles of excellent sledding. 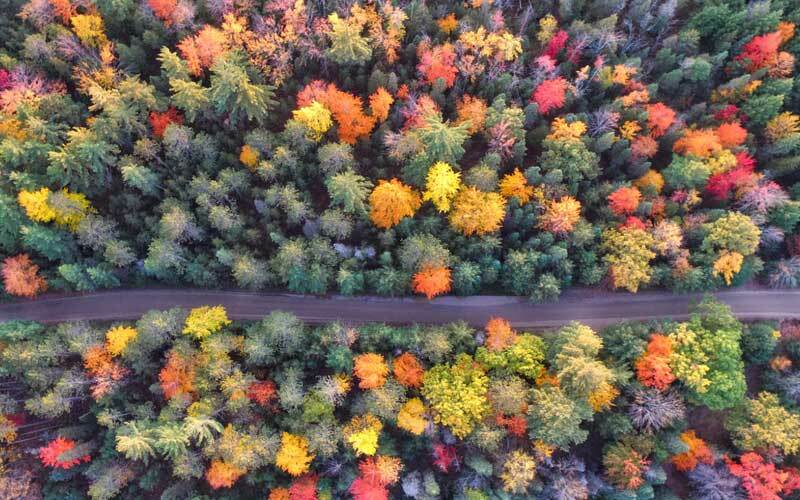 These trails also connect with the vast trail systems of the Upper Peninsula and Northern Wisconsin. And with plenty of abandoned railroad grades and many straight-open stretches of two miles or more, Iron County is the place for you!